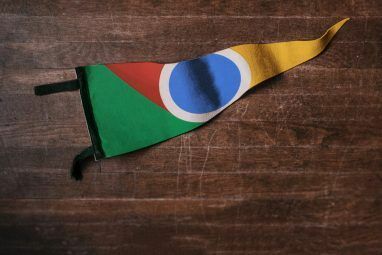 Google is shuttering products with the same speed it is launching them. The latest Google feature that is missing in action is Instant Previews. Instant Previews was a search enhancement launched three years back that gave you a sneak peek into Google search results with tiny thumbnails. The visual page snapshot helped you get a glimpse of what the page was about before you decided to click on the address and go to the page. Let’s now deal with fact that Google Instant Preview has been dropped from Google’s scheme of things. 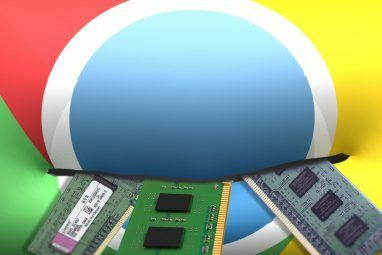 The reason probably has to do with Google’s continuing efforts to streamline the search experience with its search tools More Free Google Search Tools You Might Not Be Using So Much More Free Google Search Tools You Might Not Be Using So Much Each filter and operator on Google Search is designed to be a crosshair on a scope mounted on that ‘canon’. You need to use them appropriately for the relevant search result. So, I am advancing... Read More . According to reports, Google Instant Preview had low usage and so it was a prime candidate for the Guillotine. For me personally, the double exit of Instant Previews and Quick View from search results is bit of a downer. Why Google Instant Preview Was Useful? Instant Preview or any visual preview has its benefits as a search enhancer. The thumbnail gave a clue to the design and quality of a website. Some previews displayed text call-out boxes over the preview image to help you see where your query appears on the page. For a specific search query, you could quickly compare results and choose a page that best matches what you were looking for. It sped up search results because you didn’t need to visit each webpage individually. Most of these points hold up well if you go for an alternative to Google Instant Preview and use a Chrome extension for the same job. Browser extensions have always cushioned the loss when features are missing. We use extensions and add-ons to enhance our search experience, so there’s bound to be something that can stand-in for the departed Google feature. SearchPreview has considerable number of users; enough to suggest that Instant Preview had its takers. In fact, the extension was previously known as GooglePreview. SearchPreview adds a small thumbnail before every Google search result. The Chrome extension is unobtrusive; there is also no icon to crowd the toolbar. The thumbnails are uniform in their alignment, and while some may argue that it clutters up the page…I personally feel that for the trade-off with usability, the neatness is preserved. You can also refresh the thumbnail by right-clicking on it and selecting the option of Request Update of Preview Image. The developers say that SearchPreview could display ads to offset server costs (which are used to cache the thumbnail images). The good thing – you can turn them off from the extension’s Options. ezLinkPreview is a comprehensive solution if you are looking for a wider field of view on your search results page. Mouse over any link to bring up the ‘ez’ icon. Click the little icon to show the linked page in a separate preview overlay or split screen. You can interact with the overlay window in many ways. The ezLink Preview window can be pinned in place. You can send the previewed webpage to Google Bookmarks, share it on Google+, and even search from the preview window. For all practical purposes, the preview window acts like a separate tab. The Chrome extension also allows you to split the browser window and view a preview of the site in the right frame. ezLink has a full range of options for you to customize. You can set up a flotilla of customized search engines from the extension’s Options. ezLink also allows you to set up exclusion lists which will disable URL’s from loading in the preview window. 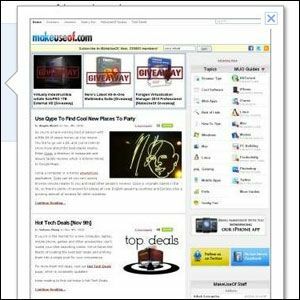 CoolPreviews gives you a larger snapshot of a webpage instead of a thumbnail. After installing the Chrome extension, you will see a magnifying glass icon next to each search result. CoolPreviews is customizable with support for features like a hotkey (which I would recommend using). You can cycle between the different modes as the icon shows you the mode you currently are in. As you can see in the screen below, you can tweak the display to your comfort level and also set the time the window will be open for. For privacy concerns, you can choose to turn off the Allow sending anonymous statistics option. Though, the extension says it is for product development purposes and is strictly anonymous. My experience with CoolPreviews wasn’t completely satisfactory as I found it to be slightly slow to load in the preview window. Every browser has a third party add-on in place that allows you to preview search results. Firefox has the similarly named but different CoolPreviews CoolPreviews - Browse Through Search Results Faster With Interactive Site Previews CoolPreviews - Browse Through Search Results Faster With Interactive Site Previews Surfing the web comes down to performing search engine queries and then clicking on links to check if the site has the answers that you want. 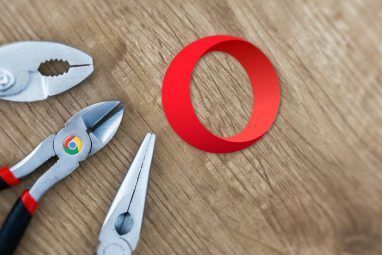 I've used the Google preview option before, but never... Read More ; and Opera has SearchenginePreview which is similar to Chrome’s SearchPreview in function. So, Instant Preview may have been mothballed, but you can call in the stand-ins and expect them to do a good job. Did you use Google’s Instant Preview? Tell us if it was useful for you or just wasted space. I miss it like crazy.. which is why I'm here looking for an alternative. It was particularly good to eliminate fake sites.. and now I'm paranoid about clicking on links without it! Well, you can try out these and see if they work for you. I was wondering where the ">>" went? When I did a Google search, I used to see ">>" at the rught side of the results, and could see a preview of the page. Where did that go?? Is it part of the search that was done away with? Can I get it back, and how? ?